Unreal Engine 4 comes from a line of Unreal Engines designed by Epic Games, where each version came packed with new features. As of now, Unreal Engine 4 is the latest release. 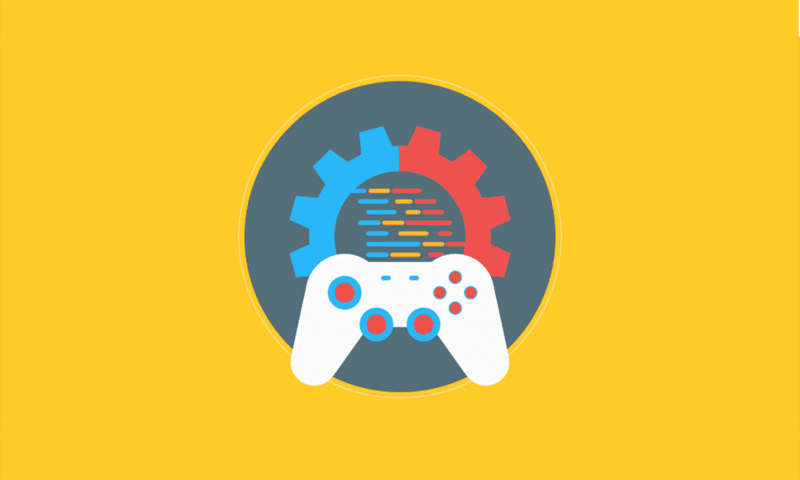 The engine is written using C++, having a set of integrated tools for game developers to design and build games, simulations, and visualizations. It caters to a wide market by supporting many platforms; Microsoft Windows, macOS, Linux, SteamOS, HTML5, iOS, Android, Nintendo Switch, PlayStation 4, Xbox One, Magic Leap One, and virtual reality (SteamVR/HTC Vive, Oculus Rift, PlayStation VR, Google Daydream, OSVR and Samsung Gear VR). This game engine was developed by Unity Technologies. It was first released back in 2005 and has grown both in its users and features since then. Just like with Unreal Engine, it is written in C++. Some C# was thrown in for the Unity scripting API. With Unity, users can create both 2D and 3D games, and the engine offers a primary scripting API in C#, for both the Unity editor in the form of plugins and games themselves. There is also a nifty drag and drop functionality. It supports a whopping number of 27 platforms; iOS, Android, Tizen, Windows, Universal Windows Platform, Mac, Linux, WebGL, PlayStation 4, PlayStation Vita, Xbox One, Wii U, 3DS, Oculus Rift, Google Cardboard, SteamVR, PlayStation VR, Gear VR, Windows Mixed Reality, Daydream, Android TV, Samsung Smart TV, tvOS, Nintendo Switch, Fire OS, Facebook Gameroom, Apple’s ARKit, Google’s ARCore, and Vuforia. Godot is an opensource tool for creating 2D and 3D games. It was created with the C and C++ programming languages. It runs on Windows, macOS, Linux, BSD and Haiku (both 32 and 64-bit) and can create games tailored for Windows, macOS, Linux, FreeBSD, OpenBSD / DragonFly BSD, Android, iOS, BlackBerry 10 and HTML5. Godot is the tool for game development from scratch. Games are created either in C#, C++ or by using its own scripting language, GDScript, a high level, dynamically typed programming language very similar to Python. Godot’s editor includes a script editor with auto indentation, syntax highlighting and code completion. LibGDX is more appropriately called a game framework. It is relatively new in the game development world. This engine is an opensource software written in C, C++ , nd Java. 3D games can be easily created using LibGDX. It supports; Windows, Linux, Mac OS X, Android, iOS, BlackBerry and web browsers with WebGL support. Some handy third party extensions can be added to libGDX, which include: gdxAI (An artificial intelligence framework), box2d (A wrapper for the Box2D physics library). This is the ideal free tool for writing 3D games for both mobile and desktop. This piece of software was created entirely with Java. It is composed of a set of libraries and an IDE like the official jMonkeyEngine 3 SDK. jMonkeyEngine games can be published to Windows, Mac, and Linux, as well as Android and iOS. New peripherals for AR and VR technologies are also supported, most noteworthy being the Oculus Rift. Have you ever heard of Game Maker Studio? It’s one of the best 2D game engine, better than libGDX. Have you ever used LibGDX? Game Maker Studio is ok-ish, but it’s not for real developers. game maker is for kiddies sweetie.